A few years ago some good friends of ours introduced us to these little round wonders. As an alternative to regular pancakes these are light, puffy and fun to make. They really aren't any more difficult to make either. Besides the opportunity to get creative with just about any kind of filling you can dream up makes a nice way to have a little fun or dress up breakfast for someone you love. 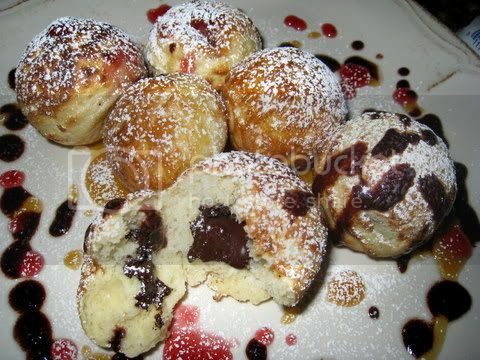 A little history about the Aebelskiver can be found here, and here as well as another recipe here that is sweeter than the version I have below. Once you add the buttermilk caramel syrup we always serve with ours though you definately don't need a lot of sugar in the batter. 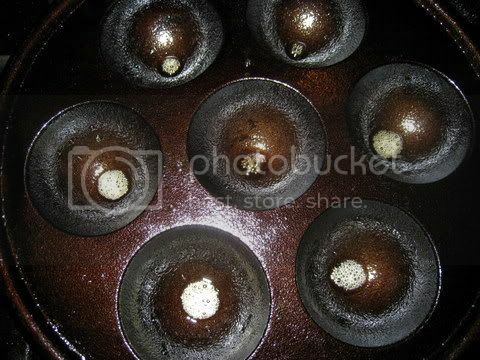 Heat the aebelskiver pan over medium-high heat. 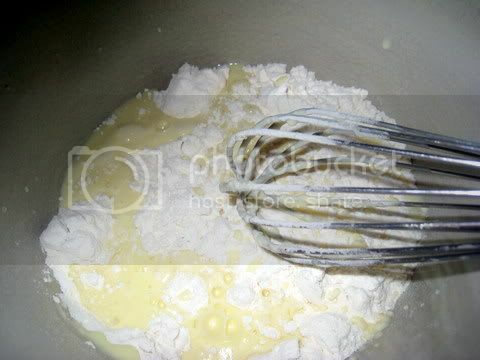 Place together the flour, baking soda and salt in one bowl and whisk together to combine. 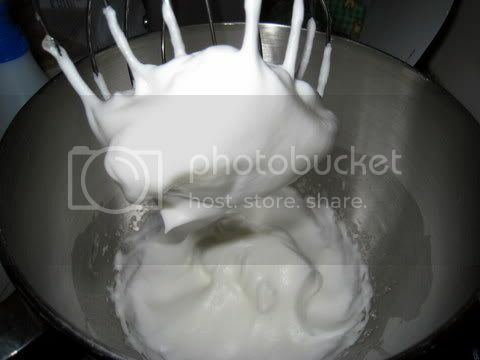 In another bowl whisk together the buttermilk and egg yolks. 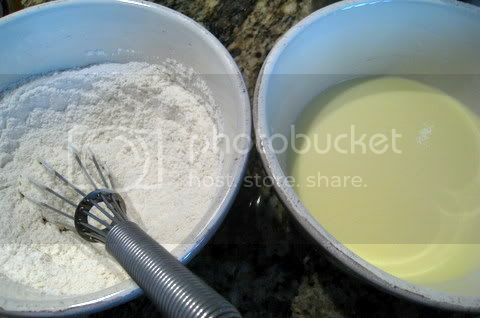 Pour the buttermilk over the flour mixture and stir just enough to combine. 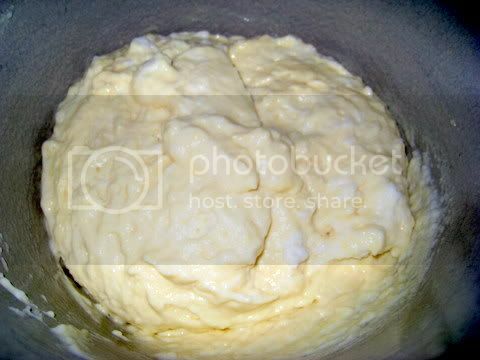 Fold the egg whites into the mixture gently. 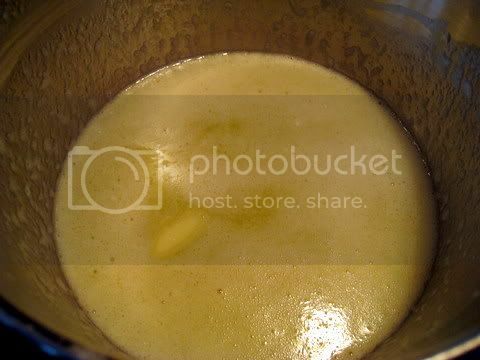 Place about 1/2 teaspoon oil into each cup of the pan and heat. Test a little bit of batter in the oil. 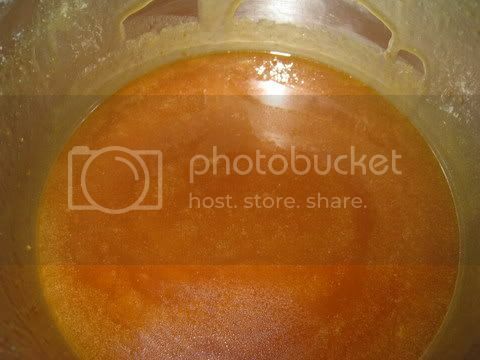 It should start bubbling immediately if the oil is hot enough. Scoop about 1/8 cup of batter into each cup. Allow the batter to brown and using a fork or a couple of skewers to roll the ball over to brown the other side. Remove from oil onto a plate with some paper towels. Serve hot with the syrup. 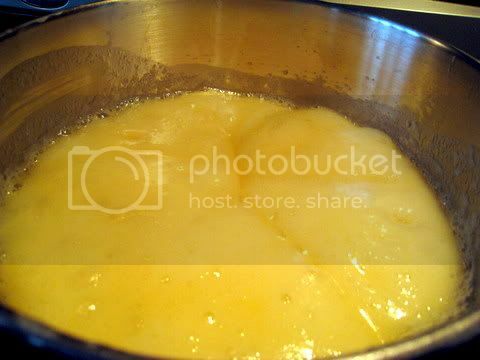 Place all ingredients, except the vanilla, into a medium saucepan over medium heat. Stir together and bring to boil. Allow to boil 5 minutes. Stir in the vanilla, off the heat. Serve warm. My favorite variation is chocolate or strawberry jam. 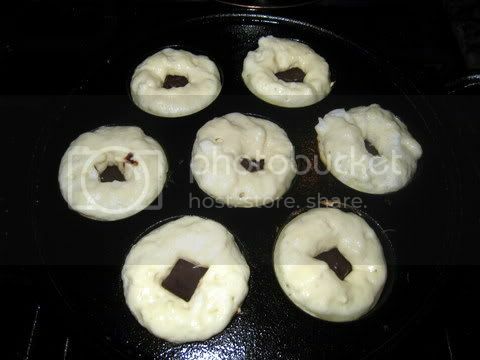 After pouring the batter into the pan, place a small amount of chocolate or your favorite jam in the center, try to push it down enough so that it is in the center of the ball. Cover the filling with a little bit of batter to cover it. Beautiful! Wonderful! Ableskivers bring me great memories! So glad to see them here! I do not have the pan to make them, but now at least I have a recipe! Thanks Gretchen Noelle! I didn't have the pan for a long time either, we just made them like regular pancakes and made the syrup anyway. My dad got the pan for me a while ago and I found out they aren't as expensive as I thought it would be. Only about $20 for the one I have. 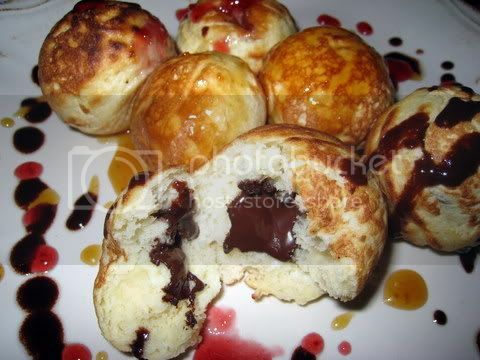 How fun to see this post - we make ebelskivers ALL the time. I have two pans which come in handy for guests, but we just love them! 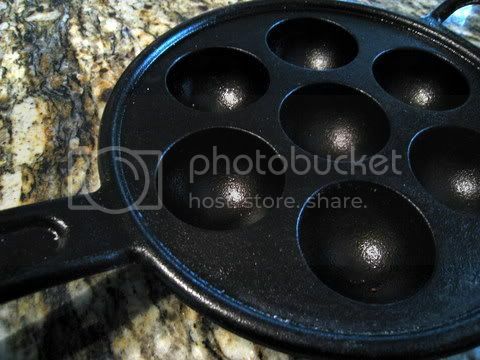 interestingly enough, I have that pan because Middle Easterners use it to make mini arabic frittatas. thanks for the inspiration!! What fun to make! I have to get one of these pans. I once had a roommate that would make these. Brings back memories!! These look incredible!! 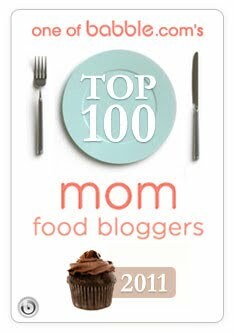 I think I saw that pan at William Sonoma? I'd love to get it and make these yummy looking pancakes!! 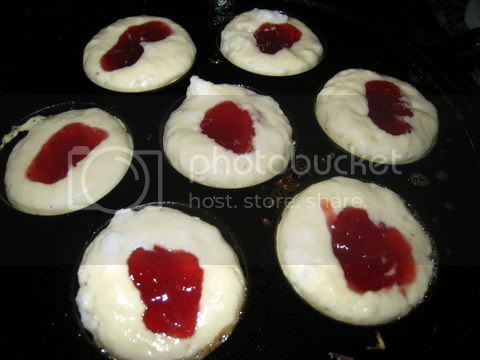 clearly i need to invest in an aebelskiver pan. those look fabulous and delectable. 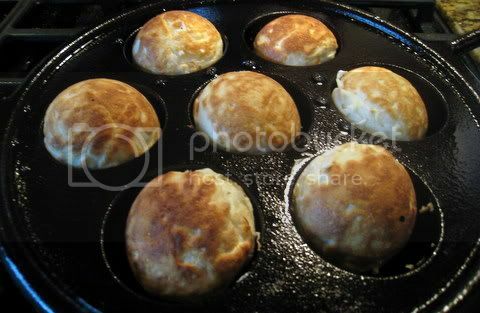 I love aebleskivers- did a post about them in January. My DH and I make them every Christmas morning as our family tradition. We both had more that one pan already when we married and more than one recipe- so the challenge was to decide which to use. We use two pans when we make them so there is less of a wait for breakfast. 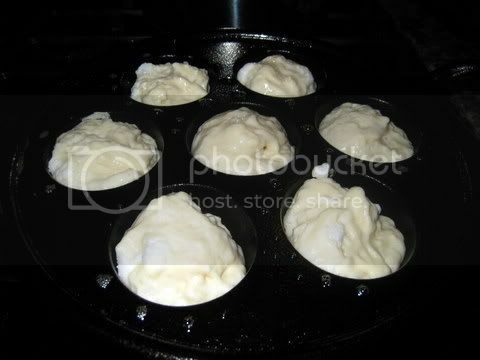 I forgot about my aebelskivers pan. I will have to break it out theis weekend! Thanks for the reminder. Growing up we always had these for breakfast when I'd spend the night at my best friend's house. I always loved them! I finally got a pan of my own but couldn't get them to turn out looking like balls! I kind of quit making them because I was so disappointed. But now after seeing your post I realize that I was not filling them as full as I should have been. That must have been my problem! I plan to pull my pan back out and put it to good use! Thanks for posting about these little balls of delight! 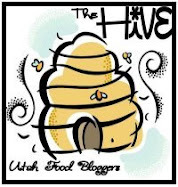 I'm going to try your buttermilk caramel syrup too; it sounds delicious! !